Friday was Mike Fey's first day on the job as the new CEO of Mesosphere. The six-year-old San Francisco-based startup announced his selection in December to fill the shoes of previous CEO, co-founder Florian Leibert, who announced in September plans to find a replacement to lead the company going forward. Although this is Fey's first stint as a chief executive, he brings serious IT cred to the table. Before signing on at Mesosphere, he spent nearly two and a half years as president and COO at Symantec, the same positions he held for nearly two years at the network security company Blue Coat Systems before it was acquired by Symantec in 2016. Earlier, he spent more than seven years at McAffee, ending his tenure there as executive VP and CTO. "Now is the time to transition Mesosphere from a founder-led company to one headed by someone who has extensive experience leading larger companies into broader markets," Leibert said in a statement in December, when the company announced Fey's hiring. "I am very pleased to welcome Mike to the Mesosphere team and I look forward to working with him as he applies his technical knowledge, operations, and go-to-market expertise to accelerate our momentum and extend the reach of Mesosphere." Mesosphere develops and markets the open source Data Center Operating System, usually referenced simply as DC/OS. Despite its name, it isn't an operating system. DC/OS is software based on Apache Mesos that runs on Linux and brings a single-pane-of-glass approach to hybrid and multicloud data center infrastructure to simplify the deployment and operations of Kubernetes and other cloud-native technologies. Naturally, the company is a major contributor to the Mesos project. Fey has been with the company since December, but neither he nor the company were in a hurry to rush him into the CEO's office without an initial get-to-know-you period. "Over the last several months I have been talking with the founders, leading investors and folks throughout the industry to gain greater understanding about the company, our technology, and the exciting path ahead of us," he wrote in a blog announcing his "first day on the job." The settling-in period was possible because, judging by all indications, Leibert has been a capable CEO. Like many co-founders of tech startups who find themselves driving a company they helped start, his prior history was primarily as a developer, which included three and a half years spent as lead dev for projects at Twitter, a heavy Mesos user, and Airbnb, formerly a heavy Mesos user. He also brought financial savviness to the table. Since 2011 he's been an equity partner at Data Collective, a venture capital company that invests in early stage big data, deep compute, and IT infrastructure startups, and has invested in several other startups, notably open source database company Cockroach Labs and Buoyant, the creator and primary sponsor of the open source service mesh Linkerd. Mesosphere has done well under Leibert. 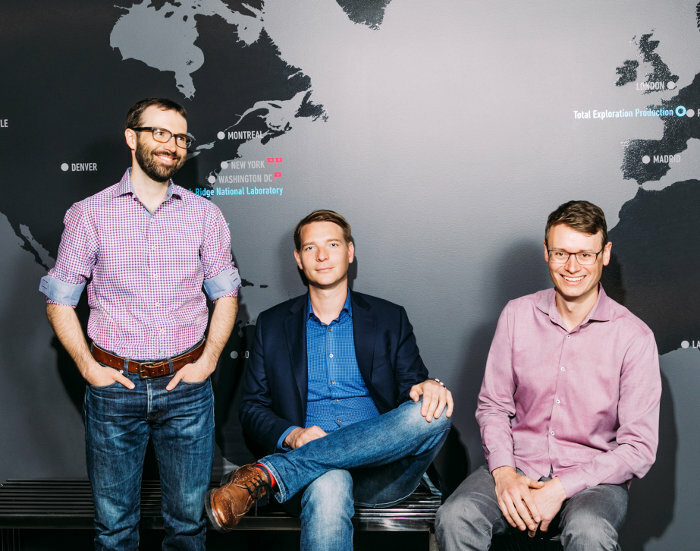 Last year the company announced a $125 million Series D funding round led by T. Rowe Price Associates and Koch Disruptive Technologies, bringing total funding for the startup to more than $251 million and a reported valuation of $725 million. Microsoft and Hewlett Packard Enterprise had joined its much smaller series C round two years earlier. Also last year, Inc. magazine listed Mesosphere as the third fastest-growing software company in the US. Leibert said earlier that after Fey was in place as CEO he would move into a role focused on customers, strategy, and technology. Listen to our interview with Florian Leibert on The Data Center Podcast. So far there's been little indication of the direction Fey will lead the company now that he's holding the reins. His blog on Friday, which was something of a pep rally to assure customers of the company's stability and that its eyes are on their future needs, was short on specifics. "[T]he simple reality is that the most advanced operations we see today require hero programmers, administrators, and the best-of-the-breed DevOps professionals," he said after a reference to Kubernetes. "These heroes are critical for the earliest adopters of advanced technologies, but there are simply not enough of them out there. Greater automation and simplification will be required to close this gap and fully realize the benefits that these new technologies offer." Given Fey's 10-year association with security giants Symantec and McAfee, it would probably be fair to assume that security will take a more prominent role under his leadership. However, in Friday's blog, mention of security was noticeably absent. We should know more within the next couple of weeks when he begins holding planned private briefings with the press.